What do I need to use a ZThemes theme? Are all your themes optimized to be viewed on different devices? Yes, all our themes have a responsive layout. That means the theme design adapts automatically to different screen sizes, so your website looks as great on small mobile devices as on tablets, laptops and big desktop or TV screens. Can I use a theme in my language? Yes, all our themes are already translated into English. Some themes have additional languages already available. If your theme is not translated into your language yet, you can add your translation using the Loco Translate WordPress plugin. 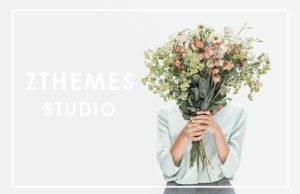 After the successful single theme or Theme Bundle purchase you will receive an email with an individual download link for your theme or Theme Bundle. You will need to upload the theme zip file to your WordPress installation. To install Pukeko directly from the WordPress admin area, click on Appearance → Themes in the WordPress admin menu. Here you will find the Add button at the top of the page. You can then use the Upload Theme button to select and install the hamlet.zip file from your local computer. After the successful installation, choose Activate. Your Hamlet Theme is now the active theme of your website. As an alternative to installing the theme directly in the WordPress admin area, you can also upload the unzipped “hamlet” theme folder to your web server via Web-FTP using an FTP program (e. g. Filezilla). To do this, you need to upload the “hamlet” theme folder (unzipped) to the WordPress installation folder… /wp-content/themes/. After uploading the theme folder via FTP you will find Pukeko in the WordPress admin area under Appearance → Themes in the list of available themes. There you now can activate the theme from here. You will find all the customization settings for Theme under Appearance → Customize. We will extend the options further in upcoming theme updates. All Themes is currently translated into English. 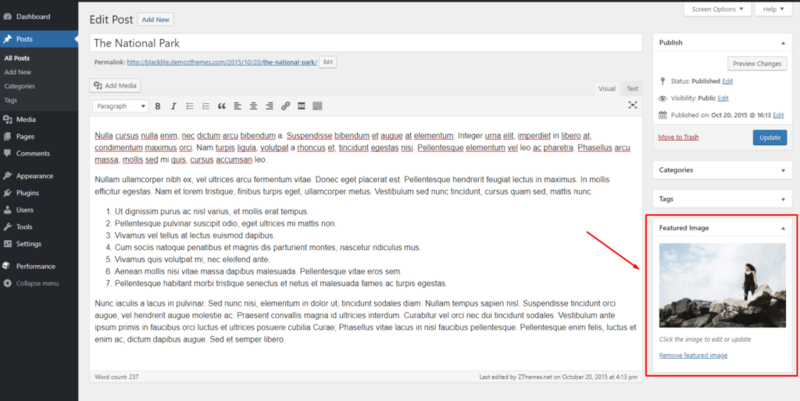 You can add your own trans­la­tion or cust­o­mize an exis­ting one using the WordPress plugin Loco Translate. Go to a post, find & click “Set featured image“, then upload your image. You can use any size for the Featured image. However, for the best result, you should use a hight quality images, at least 1080px wide, it will be automatically resized and optimized to fit with the theme. Note: Some themes use Fullwidth – Slider: you should use images larger than 1800px. The wrong size images maybe break the layout or slow down your blog, so to make sure the Featured images show up correctly and uniform, you need to do this work once right after installing the new theme. Go to you Dashboard –> Tool –> Regen. Thumbnail –> Click Regenerate All Thumbnail. Wait to 100% complete. 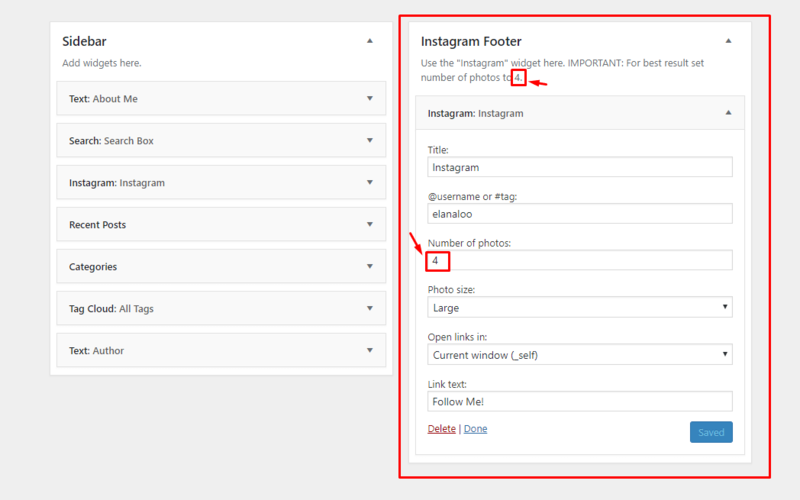 Note: This tool don’t delete any images on your blog, it create the many copy images in the different sizes, and this tool don’t change/affect the attached images in your posts, you will see the changes only on the Featured image. 6. How do I change my theme’s fonts? To change the theme’s default fonts (and other stylings), we highly recommend using the Easy Google Fonts plugin, which allows you to easily take advantage of the scores of type options provided by Google Fonts. It also provides many ways to further customize your text beyond just fonts. Note: Instagram accounts must have images to display.